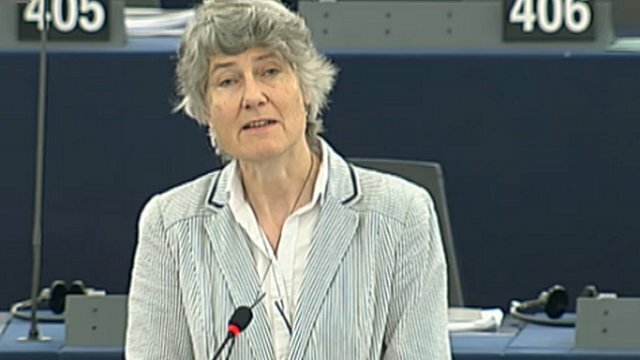 A senior MEP has called for the total abolition of mobile phone roaming charges, during a debate on 4 July 2013 on the development of a digital single market. Fiona Hall, the head of the British Liberal Democrat delegation, said she welcomed recent cuts, but that they should be made "obsolete", to ensure a "full singe market in the telecoms sector". She also called for more investment in superfast broadband, and improved access for older and disabled people to the benefits of the e-economy. Internal Market Commissioner Michel Barnier said the digital economy created 2.6 jobs for every job lost in the rest of the economy. He said that the goal of a full digital single market was "closer", and pointed to a number of recent legislative proposals that have been agreed with MEPs and member states. These include a regulation on boosting the gaming industry, rules on orphan works for whom no copyright can be found, and funding for the Connected Europea Facility, which funds telecoms and broadband networks. Other aims of the digital single market include improving protection for consumers in cyberspace, boosting the legal download industry and establishing a single European area for online payments. MEPs also used the debate to call for public administrations to play more of a role in the digital economy, such as greater use of e-procurement and e-invoicing. MEPs will vote on a resolution on the digital single market during the daily voting session from 11am later in the day. The European Parliament's disclaimer on the use of simultaneous interpretations can be found here. Read Democracy Live's guide to how the plenary sessions work here. A full speaker's list can be found here.